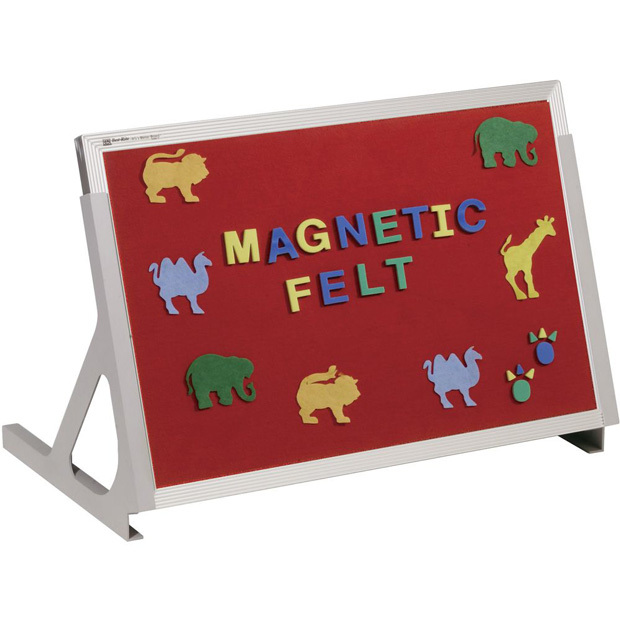 * Ideal for group learning activities, the versatile Magnetic Language Easel enhances your early childhood environment and brings interactivity right to a child's fingertips. 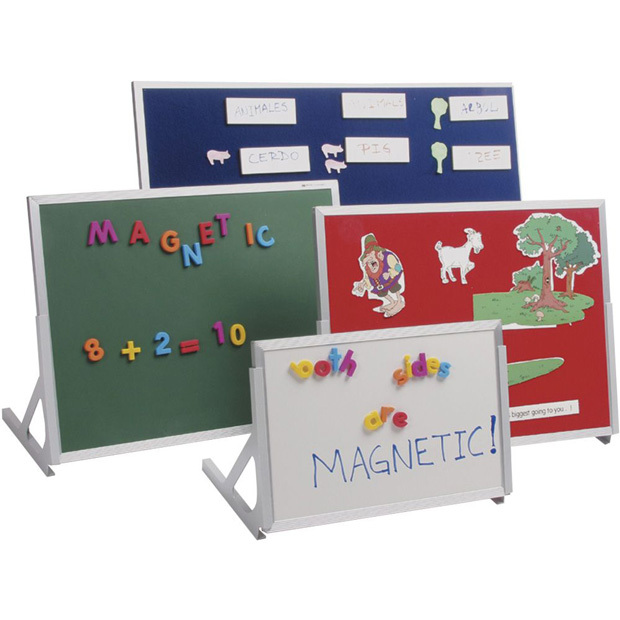 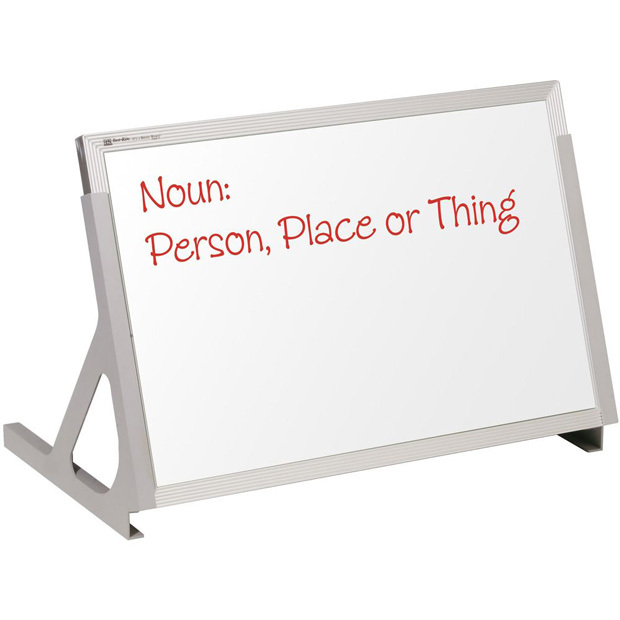 * Available double-sided with magnetic markerboard, chalkboard, hook-and-loop fabric, or magnetic flannel options. 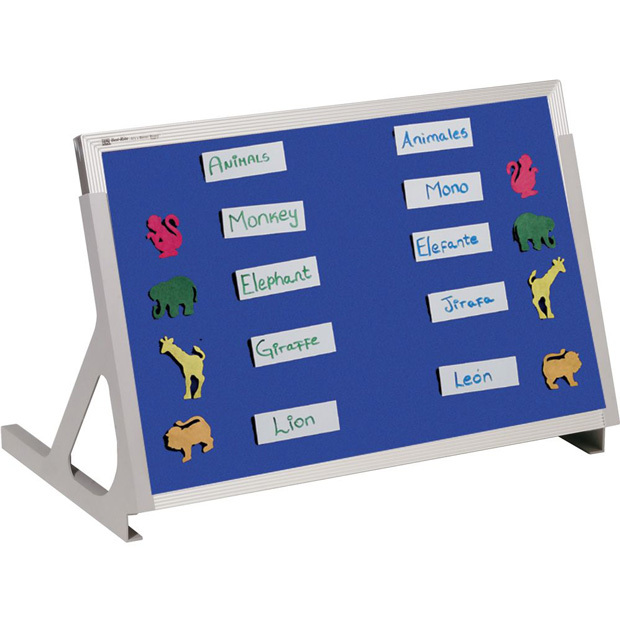 * 783GA includes felt cut-outs and flat magnets. 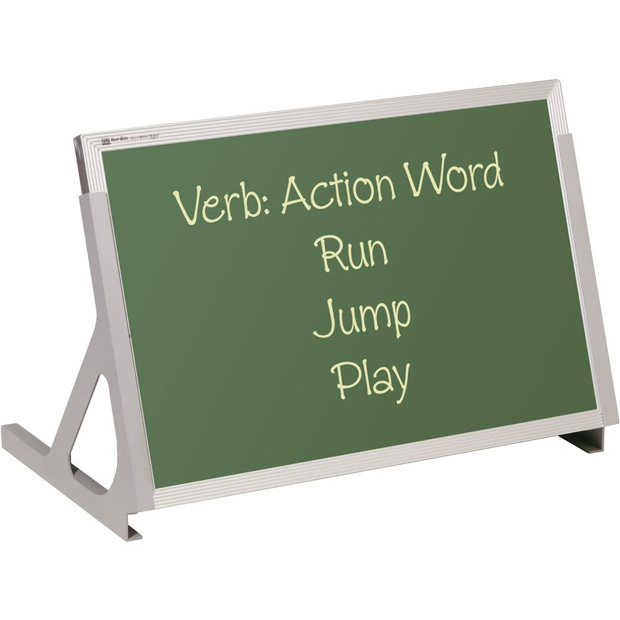 * Framed in satin anodized aluminum trim.